A joint production of the Canucks Family Education Centre and the Community Action Program for Children. Abadiano, Helen R. & Turner, Jesse (2003). Home-School Partnership: What Works? The New England Reading Association Journal, 39(3), pp.58-62. ABE Student Outcomes Project (1995). Balancing Act: How Adult Basic education Programs are Affecting the Lives of 556 New ABE Students. ABE Student Outcomes Project (1996). Onward and Upward: Moving Towards a Goal with Adult Basic Education. ABE Student Outcomes Project (1997). Adult Basic Education & College Preparatory Student Outcomes Project: 1995-1996 Report. British Columbia Post-Secondary Colleges and Institutes. Anderson, J. & Morrison, F. (2007). “A Great Program… For Me as a Gramma”: Caregivers Evaluate a Family Literacy Initiative. Canadian Journal of Education, 30(1), pp.68-89. Applied Research Branch (2000). Dropping Out of High School: Definitions and Costs. Ottawa: Strategic Policy, Human Resources Development Canada. Au, K. & Kawakami, A. J. (1994). Cultural Congruence in Instruction. In Hollins, E. R., King, J. E. & Hayman, W. (Eds. ), Teaching Diverse Populations: Formulating a Knowledge Base, pp. 5-23. Albany: State University of New York Press. Auerbach, E. R. Deconstructing the discourse of strengths in family literacy. (1995). Journal of Reading Behaviour, 27(4), 643-661. Baker, L., Scher, D. & Mackler, K. (1997). Home and Family Influences on Motivations for Reading. Educational Psychologist, 32, pp.69-82. Bartley, M. (2006). Capability and Resilience: Beating the Odds. London, UCL Department of Epidemiology and Public Health. Battell, E., Gesser, L., Rose, J., Sawyer, J., Twiss, D. (2004). Hardwired for Hope: Effective ABE/Literacy Instructors. Nanaimo, BC: Malaspina University-College: National Literacy Secretariat (HRDC) & Ministry of Advanced Education (Province of British Columbia) & Vancouver Foundation. Battell, Evelyn (2001). Naming the Magic: Non-Academic Outcomes in Basic Literacy. Ministry of Advanced Education (Province of British Columbia). Benseman, John (2006). Refining Family Literacy Practice: A New Zealand Case Study. Adult Basic Education, 16(2), pp.67-80. Biggam, Sue (2003). Making the Most of Parent Parternships to Strengthen Literacy Development: Lessons from John and Janet Poeton and Recent Research. The New England Reading Association Journal, 39(3), pp.24-27. Bossort, P., Cottingham, B. & Gardern, L. (1994). Learning to Learn: Impacts of the Adult Basic Education Experience on the Lives of Participants. Vancouver, BC: Adult Basic Education Association of British Columbia. Bowlby, Jeffrey W. & McMullen, Kathryn (2002). At a Crossroads: First Results for the 18 to 20-Year-Old Cohort of the Youth in Transition Survey. Ottawa: Statistics Canada (HRDC). Brooks-Gunn, J. & Markman, L. (2005). The Contribution of Parenting to Ethnic and Racial Gaps in School Readiness. The Future of Children. 15(1), pp.139-168. Byrne, B., Fielding-Barnsley, R. and Ashley, L. (1996). What does the child bring to the task of learning to read? A summary of the New England reading acquisition projects. Australian Journal of Psychology, 48(3), 119-123. Cairney, T. H. & Munsie, L. (1995). Parent Participation in Literacy Learning. The Reading Teacher, 48(5), pp.392-403. Campbell, P. (2003). From Coast to Coast: A Thematic Summary of Canadian Adult Literacy Research. Ottawa: National Literacy Secretariat. Connors, L. J. (1993) Project Self-Help: A Family Focus on Literacy (Rep. No. 13). Baltimore, MD: Johns Hopkins University, Centre of families, Communities, Schools, and Children’s Learning. Come, B. and Fredericks, A.D. (1995). Family literacy in urban schools: Meeting the needs of at-risk children. The Reading Teacher, 48(7), 566-570. Crawford, Patricia A. & Zygouris-Coe, Vicky (2006). All in the Family: Connecting Home and School with Family Literacy. Early Childhood Education Journal, 33(4), pp.261-267. Cronan, T. A., Cruz, S.G., Arriaga, R.L. and Sarkin, A.J. (1996). The Effects of a Community-Based Literacy Program on Young Children's Language and Conceptual Development. American Journal of Community Psychology, 24(2), 251-272. Darling, S. & Hayes, A. E. (1989). The William R. Kenan, Jr Charitable Trust Family Litearcy Project: Final Report 1988/1989. Louisville, KY: National Centre for Family Literacy. Darling, S. & Lee, J. (2003). Linking Parents to Reading Instruction. The Reading Teacher, 57(4), pp.382-384. Darling, S. & Westberg, L. (2004). Parent Involvement in Children’s Acquisition of Reading. The Reading Teacher, 57(8), pp.774-776. International Reading Association. Davis, D. (2001). Powerful Partnerships Among Schools, Parents, and Communities. Education Digest, 66(2), pp.41-44. De Broucker, P. & Lavallee, L. (1998). Intergenerational aspects of Education and Literacy Skills Acquisition. In M. Corak (Ed. ), Labour Markets, Social Institutions, and the Future of Canada’s Children, pp.129-143. Ottawa, ON: Statistics Canada. Debruin-Parecki, A., Paris, S. & Siedenburg, S. G. (1997). Family Literacy: Examining Practice and Issues of Effectiveness. Journal of Adolescent and Adult Literacy, 40, pp.596-605. Delgado-Gaitan, C. (1990). Literacy for empowerment: The role of parents in children's education. NewYork: The Falmer Press. Delgado- Gaitan, C. (1994). Socio-Cultural Change Through Literacy: Toward the Empowerment of Families. In Ferdman, B.m., Weber, R. M. & Ramirez, A. G. (Eds. ), Literacy Across Languages and Cultures. Albany, NY: SUNY Press. Ducklow, D. A. (1994). A Matter of Balance: The Difference Between Dropping Out and Persisting in an Adult Learning Centre. Unpublished Master’s Thesis. Burnaby, BC: Simon Fraser University. Edwards, P. A. (1995). Empowering Low-Income Mothers and Fathers to Share Books with Young Children. The Reading Teacher, 48(7), pp.558-564. Elster, C. A. (1994). I guess they do listen: Young children's emergent readings after adult read-alouds. Young Children, 49(3), 27-31. Epstein, J. (1983). Effects on Parents of Teacher Practices of Parent Involvement. Report no.346, pp.277-294. Baltimore: John Hopkins University. Epstein, J. (2002). School, Family, and Community: Your Handbook for Action. Thousand Oaks, CA: Corwin Press. Fagan, W. T., Anderson J.G., and Cronin, M.C. (1998). Growing into literacy.St. John's: Education, Learning, Literacy Network. Fagan, W. T. (2001). Transfer of Learning in Parent-Focused Family Literacy Programs. St John’s, NL: Faculty of Education, Memorial University. Fleury, Dominique (2007). A Study of Poverty and Working Poverty Among recent Immigrants to Canada. Final Report. Ottawa: Human Resources and Skills Development Canada. Fowler, Ellayne (2005). Literacy Environments. In E. Fowler and J. Mace, eds. Outside the Classroom: Researching Literacy with Adult Learners. National Institute of Adult Continuing Education (England and Wales), pp.49-56. Fowler, Ellayne (2005). Social Networks. In E. Fowler and J. Mace, eds. Outside the Classroom: Researching Literacy with Adult Learners. National Institute of Adult Continuing Education (England and Wales), pp.24-31. Glaser, B. (1992). Basics of Grounded Theory Analysis. Mill Valley, CA: Sociology Press. Goldenberg, C. (1987). Low-income Hispanic parents’ contributions to their first grade children's word recognition skills. Anthropology & Education, 19, 149-179. Grotberg, E. (1995). Strengthening the Human Spirit. The International Resilience Project, from the Early Childhood Development: Practice and Reflections series. Bernard Van Leer Foundation. Hagan, J., MacMillan, R. & Wheaton, B. (1996). New Kid in Town: Social capital and the Life Course Effects of Family Migration on Children. American Sociological Review, 61(3), pp.368-385. Hammett, R., Artiss, P. & Barrell, B. (2000). 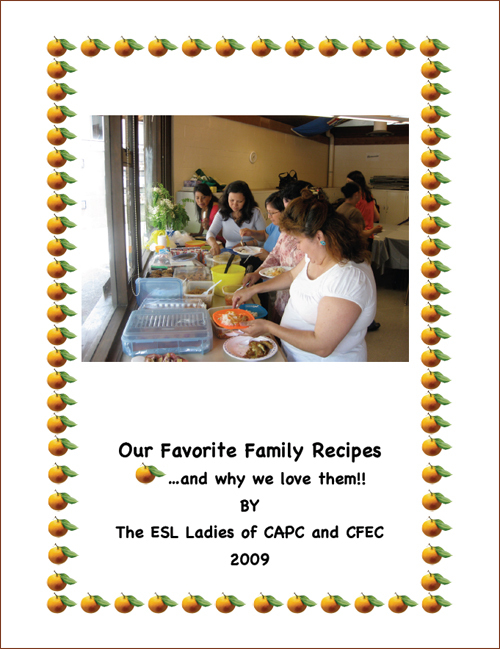 Strengthening Families and Communities Through Literacy Learning Opportunities for Women/ Adults. St John’s, NL: Memorial University. Hart, D., Long, E., Breslauer, H. & Slosser, C. (2002). Nonparticipation in Literacy and Upgrading Programs: A National Study: Stage Two: Survey of Attitudes, Perceptions, and Preferences Regarding Adult Basic Education Programs. Toronto, ON: ABC Canada. Hayden, R. & Phillips, L. (2000). The Forecast Is Good: Report on the Formative Evaluation of the “Learning Together: Read and Write with Your Child” Program. Edmonton, AB: Centre for Research on Literacy, University of Alberta. Heath, S. B. (1983). Ways with words. Cambridge University Press, Cambridge England. Hibpshman, T. (1989). A Review of the Parent and Child Education (PACE) Program. Frankfort, KY: Office of Research and Planning. Hlady, L. (1995). Emergent literacy: Developing a concept of literacy through role-playing. In Wason-Ellam L., Blunt A. and Robinson S., (Eds. ), Horizons of Literacy. The Canadian Council of Teachers of English Language Arts. Hoffman, J. L. (1995). The family portfolio: Using authentic assessment in family literacy programs. The Reading Teacher, 48(7), 594-597. Horsman, J. (1999). Too Scared to Learn: Women, Violence and Education. Toronto, ON: McGilligan Books. Human Resources and Skills Development Canada & Statistics Canada (2005). Building on Our Competencies: Canadian Results of the International Adult Literacy and Skills Survey. Ottawa: Ministry of Industry. Inghilleri, M. (1999). Intersubjectivity: The Holy Grail of Mutual Understanding. Language and Communication, 20, pp.133-148. Irwin, Lori G. &Johnson, Joy (2005). Interviewing Young Children: Explicating Our Practices and Dilemmas. Qualitative Health Research, 15(6), pp.821-831. Jessup,, L. L. (n.d.). Barriers to Youth in Acquiring Literacy Assistance. Tillsonburg, ON: Tillsonburg and District Multi-service Centre. Jones, Stan (1993). Reading, But Not Reading Well: Reading Skills at Level 3. A Report from the Survey of Literacy Skills Used in Daily Activities. Ottawa: National Literacy Secretariat (HRDC). Libbey, H. P. (2004). Measuring Student Relationships to School: Attachment, Bonding, Connectedness, and Engagement. Journal of School Health, 47(7). Lily, E. & Green, C. (2004) Developing Partnerships with Families Through Children’s Literature. Upper Saddle River, NJ: Pearson Prentice Hall. Livingstone, D. (1999). The Education Jobs Gap. Toronto: Garamond Press. Long, E. & Taylor, L. (2002). Non-Participation in Literacy and Upgrading Programs: A National Study. Stage One: Interviews from Across Canada. Tornoto, ON: ABC Canada. Long, E., & Middleton, S. (2001). Patterns of Participation in Canadian Literacy and Upgrading Programs: Results of a National Follow-up Study. Toronto: ABC Canada. Mace, Jane (2005). Literacy Events, Practices and Values. In E. Fowler and J. Mace, eds. Outside the Classroom: Researching Literacy with Adult Learners. National Institute of Adult Continuing Education (England and Wales), pp.1-9. Malicky, G. V. & Norma, C. A. (1996). Perception of Adult Literacy Learners about Themselves and Their Lives. Adult Basic Education, 6(1), pp.3-20. Millar, R. & So, J. (1998) Learning and Talking Together. Winnipeg, MB: Journeys Adult Education Centre. Millar, Robin (2002). You Know More Than You Think You Know. Literacy Research in Practice, Centre for Education and Work: University of Winnipeg. Morrow, L. M. (1995). Family literacy: New perspectives, new practices. In Morrow L., (Ed. ), Family Literacy Connections in Schools and Communities. Newark, DE: International Reading Association. Morrow, Lesley M. and Neuman, Susan B. (1995). Introduction: Family literacy. The Reading Teacher, 48, (7), 550-551. Morrow, L. M. & Young, J. (1997) A Family Literacy Program Connecting School and Home: Effects on Attitude, Motivation, and Literacy Achievement. Journal of Educational Psychology, 89, pp.736-742. National Center for Family Literacy (2001). Outcomes and measures for family literacy programs. Louisville, KY.
Neuman, S. B. (1995). Reading together: A community-supported parent tutoring program. The Reading Teacher, 49, (2), 120-129. Niks, M., Allen, D., Davies, P., McRae, D., Nonesuch, K. (2003) Dancing in the Dark: How Do Adults with Little Formal Education Learn? How do Practitioners do Collaborative Research? Nanaimo, BC: Malaspina University-College: National Literacy Secretariat (HRDC) & Ministry of Advanced Education (Province of British Columbia). O’Sullivan, J. & Howe, M. L. (1999). Overcoming Poverty: Promoting Literacy in Children from Low-income Families. Thunder Bay, ON: Lakehead University. Ortega, A. & Ramirez, J. (2002). Parent Literacy Workshops: One School’s Parent Program Integrated with the School Day. The Reading Teacher, 55(8), pp.726-729. Paratore, J. R., Homza, A., Krol-Sinclair B., Lewis-Barrow, T., Melzi, G., Stergis, R., et al. (1995). Shifting boundaries in home and school responsibilities: The construction of home-based literacy portfolios by immigrant parents and their children. Research in the Teaching of English, 29(4), 367-389. Paratore, J. R. & Jordan, G. (2007). Starting Out Together: A Home-School Partnership for Preschool and Beyond. The Reading Teacher, 60(7), pp.694-496. Park, V. (2000). Why Don’t People Come? : Some Reasons for Non-Participation in Literacy Programs. In M. Norton & G Malicky (Eds. ), Learning About Participatory Approaches to Adult Literacy Education: Six Research in Practice Studies, pp.193-202. Edmonton, AB: Learning at the Centre Press. Patterson, J. & Kirkland, L. (2007). Sustaining Resilient Families for Children in Primary Grades. Childhood Education, 84(1), pp.2-7. Association Childhood Education International. Philliber, W. W., Spillman, R. E. & King, R. (1996). Consequences of Family Literacy for Adults and Children: Some Preliminary Findings. Journal of Adolescent & Adult Literacy, 39, pp.558-565. Phillips, L. M., Norris, S. P. & Mason, J. M. (1996) Longitudinal Effects of early Litearcy Concepts on reading Achievement: A Kindergarten Intervention and Five-year Follow-up. Journal of Literacy Research, 28(1), pp.173-195. Ponzetti, J. J. & Dulin, W. (1997). Parent Education in Washington State Even Start Family Literacy Programs. Early Childhood Educational Journal, 25(1), pp.23-29. Purcell-Gates, V. (1996). Stories, coupons, and the TV guide: Relationships between home literacy experiences and emergent literacy knowledge. Reading Research Quarterly, 31(4), 406-428. Purcell-Gates, V. (2004a). Ethnographic Research. In N.K. Duke, & M. Mallette (Eds.) Literacy Research Methodologies. New York: Guilford Publications, pp.92-113. Purcell-Gates, V. (2004b). Family Literacy as the Site for Emerging Knowledge of Written Language. In Waskik, B. H. (Ed.) Handbook of Family Literacy. Mahwah, NJ: Lawrence Erlbaum Associates. Pp101-115. Purcell-Gates, V., L'Allier, S., and Smith, D. (1995). Literacy at the Harts' and the Larsons': Diversity among poor, inner-city families. The Reading Teacher, 48(7), 572-578. Rainville, Bruno & Brink, Satya (2001). Food Insecurity in Canada, 1998-1999. Ottawa: Applied Research Branch, Strategic Policy, Human Resources Development Canada. Rasmussen, Jean & Dunaway, Jo (no date). The BC Framework of Statements and Standards of Best Practices in Family Literacy. Vancouver: Literacy BC. Riedinger, S. (1997). Even Start: Facilitating Transitions to Kindergarten. Washington, DC: US Department of Education, Planning, and Evaluation Service, Office of the Undersecretary. Roberts, P. & Fawcett, G. (1998). At Risk: A Socioeconomic Analysis of Health and Literacy Among Seniors. (Catalogue no. 89-552-MPE, no.5). Ottawa, ON: Statistics Canada. Rodriguez-Brown, F. V. & Mulhern, M. M. (1993). Fostering Critical Literacy Through Family Literacy: A Study of Families in a Mexican-Immigrant Community. Bilingual Research Journal, 17, pp.1-16. Rogers, R. (2002). Between Contexts: A Critical Discourse Analysis of Family Literacy, Discursive Practices, and Literate Subjectivities. Reading Research Quarterly, 37(3), pp.248-269. Rootman, I. & Ronson, B. (2005). Literacy and Health Research in Canada: Where Have We Been and Where Should We Go? Canadian Journal of Public Health, 96(S2), pp.62-77. Roussy, Yvonne & Hart, Doug (2002). Seeing the Need, Meeting the Need: A Report on the Recruit and Retention Issues in Literacy and Basic Skills Programs. Ontario Literacy Coalition. Sarginson, R. J. (1997). Literacy and Health: A Manitoba Perspective. Winnipeg MB: Literacy Partners of Manitoba. Schultze, Lana (2005). Some Parents or Caregivers Among the Low Literacy Students in Britannia Elementary Community School Grade One Are Not Able to Provide Successful Academic Support for Their Children. M.A. Thesis: University of Pheonix. Serpell, Robert (1997). Literacy Connections Between School and Home: How Should We Evaluate Them? Journal of Literacy Research, 29(4), pp-587-616. Shalla, V. & Schellenberg, G. (1998). The Value of Words: Literacy and Economic Security in Canada. Ottawa, ON: Statistics Canada. Shanahan, T., Mulhern, M. and Rodriguez-Brown, F. Project FLAME: Lessons learned from a family literacy program for linguistic minority families. The Reading Teacher, 48(7), 586-593. Smith, M. C. & Piper, L. (2002) Primary-Grade Educators and Adult Literacy: Some Strategies for Assisting Low-Literate Parents. The Reading Teacher, 55(2), pp.156-165. Snow, C. E., Barnes, W. S., Chandler, J., Goodman, I. F. & Hemphill, L. (1991). Unfulfilled Expectations: Home and School Influences on Literacy. Cambridge, MA: Harvard University Press. Speck, Marsha (1999). The Principalship: Building a Learning Community. Upper Saddle river, NJ: Merrill (Prentice-Hall Inc.). Statistics Canada (2003). The Adult Literacy and Life Skills Survey, 2003: User’s Manual. Ottawa: Government of Canada. Sticht, T.G. and McDonald, B. A. (1989). Making the nation smarter: The intergenerational transfer of cognitive ability. San Diego, CA: Institute for the Study of Adult Literacy. Stone, L. Teaching Sam to Enjoy Reading. (1994). Young Children, 49, (2), 76-77. Talbot & Associates (2006). Lifelong Learning Strategy for the City of Vancouver. City of Vancouver. Tarasuk, V. & Davis, B. (1996). Responses to Food Insecurity in the Changing Canadian Welfare State. Journal of Nutrition Education, 28(2), pp.71-75. Taylor, D. (1993) Family literacy: Resisting deficit models. TESOL Quarterly, 27(3) 550-553. Tenta, Leslie (1992) Welcoming Learners. In Adult Basic Education Association of BC Observation and Visitation Project Report: Team Members Journal. Adult Basic Education Association of BC. Thiessen, Victor (2001). Policy Research Issues for Canadian Youth: School-Work Transitions. Ottawa: Applied Research Branch, Strategic Policy, Human Resources Development Canada. Topping, K. & Wolfendale, S., Eds. (1985). Parental Involvement in Children’s Reading. Beckenham, Kent, UK: Croom Helm. Turner, R. (1987). SHARE Project – Doveton Cluster: A Case Study. Melbourne: Ministry of Education. UNESCO, (2004). The Plurality of Literacy and Its Implications for Policy and Programmes. Paris: United Nations Education Scientific and Cultural Organization. Unwin, C. G. (1995). Elizabeth's story: The potential of home-based family literacy intervention. The Reading Teacher, 48(7), 552-557. Vancouver School Board (2007). 2007/2008 District Plan Achievement Contract for Student Engagement, Learning and Development. Board of Education of School District No 39 (Vancouver). Verberg, Catherine M. (2005). Family Interests and Adult Outcomes: The Role of Children in Influencing Adult Learning. Thesis, M.Ed. St Francis Xavier University. Weinstein, G. (1998). Family and Intergenerational Literacy in Multilingual Communities. Washington, DC: Office of Educational Research and Improvement, U.S. Department of Education. Whitehurst, G. et al. (1994). Outcomes of an Emergent Literacy Intervention in Head Start. Journal of Educational Psychology, 86, p.542.